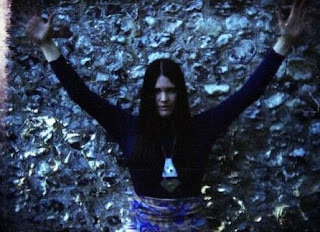 I was deeply shocked when I returned to work after lunch on Friday to discover that Trish Keenan, singer with Birmingham's electronic aces Broadcast, had died in hospital a few hours earlier. For me, and many of my friends, Trish will always be the one who best personifies the more imaginative side of our local music scene. Broadcast arrived at just the right time for me. When they released their first few singles in the mid-1990s, the Britpop era was just coming to an end but Birmingham's live music scene was still mainly populated by Oasis wannabes. I had just quit my regular DJ slot due to the rubbish I was expected to play. Although there were people in Birmingham with more varied tastes, they rarely seemed to come together in the same place. When Broadcast started to play live, it was just the boost we needed and a small scene soon developed. I have fond memories of the next five or six years and what became known as the "We Brought Our Friends" scene. There were a handful of local bands (Magnetophone, Avrocar, Novak etc.) regularly playing at the Jug of Ale and the Flapper & Firkin, and I seemed to be in one or the other of these venues at least twice a week. As well as the music, there was a great social atmosphere and I got to know many of the bands. Despite having no musical skills of my own, I felt like I was part of something important. Although most of these bands were not widely known outside of the small venues where they played and have since disappeared, Broadcast went on to greater success. After early releases on labels such as Wurlitzer Jukebox, they signed to Warp and became one of the best-known Birmingham acts. But despite the attention they received from the music press, they did not abandon their experimental leanings, and their releases over the last 15 years have never been anything less than fascinating. Their use of vintage synths combined with Trish's haunting vocals brings to mind the soundtrack of a 1930s film while at the same time hinting at '60s psychedelia and the works of the BBC Radiophonic Workshop. I'm guessing that most people reading this won't need me to describe Broadcast's sound, and certainly won't require any encouragement to listen to their records. But in case there is anyone out there who has not heard Broadcast before, the best place to start is probably with "Work and Non Work", which compiles the early singles. This showcases the band's most relaxing pieces, and could almost be described as "lounge music". This is the best way to ease yourself into the mysterious world of Broadcast. In particular, it includes the beautiful "Message From Home". Like many other songs that I've reviewed here, this piece has a personal meaning to me and seems to describe a specific moment from my past. After that, there was a gap of three years before their first full-length album finally appeared, but they had spent the time painstakingly developing their sound, which they seemed to do to a certain extent with each subsequent release. The lyrics in particular get more surreal as their career progresses, and for many songs I believe they employed André Breton's technique of "automatic writing". I strongly feel that everyone should listen to all of Broadcast's releases, but if I had to choose one album then it would be 2005's "Tender Buttons". I personally consider this to be one of the finest psychedelic records ever made. However, it may come as something of a shock after the lush textures of "Work and Non Work", so if you have time it may be better to build up to it by working through the intervening albums in sequence. By this stage, the band had been reduced to a duo of Trish and James Cargill so in many ways the sound was stripped down, whilst at the same time taking in some new influences. The real beauty of this record is the way it manages to combine sounds from a number of different eras into a cohesive whole and still not sound like anything that came before it. If I didn't know Broadcast and listened to this album blind, I doubt I would be able to make an accurate guess at the decade in which it was made. This record reminds me of different aspects of Birmingham, but mainly in a psychogeographic way. As some of you may know, I have a nostalgic fascination with the old architecture of Birmingham, particularly from the late-1980s/early-1990s when I first lived here, and centred around the old Bull Ring, of which I have recently built up a large collection of photographs. "Tender Buttons" is the perfect soundtrack when browsing through these pictures. The harsh rhythms of the title track and "I Found The F" remind me of the maze of subways and the bleak grey stone landscape, the way many people who have never actually been here imagine the entire city to look. The album also includes the moving "Tears In The Typing Pool", which acts as a wonderful contrast to the abrasiveness of the previous tracks. "Tender Buttons" requires many plays before it reveals all of its hidden depths, but ultimately it's the Broadcast album that I keep returning to. As I have already said in a separate online discussion this weekend with one of my regular readers, at times like this I am reminded that I am lucky to live in a city with so much innovative musical talent. The last month or so has been particularly tragic, as we have already lost Mick Karn, Captain Beefheart and Peter Christopherson. Let's hope that 2011 does not continue in the same way.